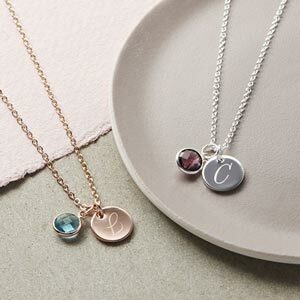 Odette Semi Precious Stone Personalised Necklaces are beautiful semi precious stone pendants in a lovely selection of colours on a delicate silver chain. This beautifully delicate heart shaped necklace comes in a gorgeous selection of semi precious stone colours with lovely freshwater pearl charms in naturally complimentary colours. Silver plated with a semi precious stone. 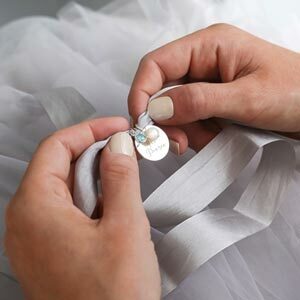 The personalisation charms are sterling silver.